Making the choice to sell your home and take on the task of moving is one of the most emotional and physically draining experiences you'll ever go through. With so many options out there to consider when trying to figure out the best way to sell your home, it's vital you: a) allow a REALTOR to take the responsibility and headaches off your hands, and b) choose a REALTOR you trust and who will go the extra mile before, during, and even after the transaction is complete. They understand the area and what buyers are looking for so that they can effectively help you price and present your home. Ask if they have any special awards or certifications. They honestly discuss the positives and negatives of your home, location, and current market. They detail each action item they will take to market your home so that you are on the same page together and there are no mysteries. They should utilize marketing techniques that promote your home, NOT themselves. Make sure they understand industry data regarding certain marketing medias used to attract buyers. "Don't get lost in print ads!" They communicate with you on a regular basis regarding buyer feedback and market trends so that if a new strategy needs to be implemented, you are being proactive to accomplish your goal. They MUST understand technology and use what works. 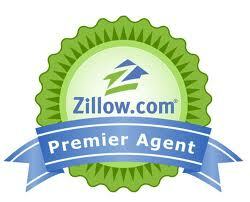 More than 75% of buyers will be introduced to your home initially through the Internet prior to seeking an agent. They must be savvy negotiators. You should expect someone who will keep the deal alive, think outside the box, and be sure the result is to your satisfaction. da Vinci Realty fulfills each and every aspect, highlighted above, to successfully sell your home. Our decades of sales and advertising experience, coupled with our negotiaion skills (which have been described as having a "Fighter Pilot mentality") have helped numerous clients through this hectic, but exciting, endeavor. Whether you choose us or someone else, we recommend you check references from past clients so that what you are being told during the initial interview is, in fact, accurate. What to pay a REALTOR....you should know there is no "standard" fee, nor "company policy" an agent follows when calculating their offer. You must determine if the value they bring to your unique situation is worth the commission they request. da Vinci Realty believes each and every homeowner has different reasons for selling their home and, therefore, will have varying expectations and needs. Our goal is meet or exceed those expectations. When it comes down to it, it's "your money - your decision."